At the beginning of the mo nth I posted What Will the Papers Say?, a piece on the High Court’ s decision in Williams v Leeds United Football Club  EWHC 376 (QB). Briefly, the claimant, then a Director for Leeds Utd FC, had sent pornographic images using the football club’s IT to three people: Dennis Wise, Gus Poyet and a LUFC administrative worker. Not one of the recipients made a complaint about the email and the football club had no knowledge of the misconduct. A significant time later the football club gave notice to the claimant to terminate his contract which amounted to a year’s salary. However, after agreeing the termination but before payment was made the football club became aware of the earlier misconduct and launched disciplinary proceedings which resulted in the claimant’s dismissal. Gross Misconduct is, at root, a matter of contract; it is conduct that is capable of destroying the relationship between the employer and employee. In the Williams case even though there was a delay in the employer discovering the misconduct when it did so it was open to the employer to respond by considering the contract terminated by the employee’s actions – even though there was a significant delay between the employee’s misconduct and the employer’s knowledge of the misconduct. Sixthly, Mr Barnett submitted that if the Club knew that the Claimant had forwarded the e-mails to Mr Wise, Ms Lamb and Mr Poyet prior to deciding to dismiss then the letter of 23 July 2013 affirmed the existence of the contract. I accept that if those who took the decision did know those facts prior to the decision to terminate the contract, then the letter of 23 July 2013 would amount to an affirmation of the contract of employment and that the Club could not thereafter rely on those facts as justifying dismissal. 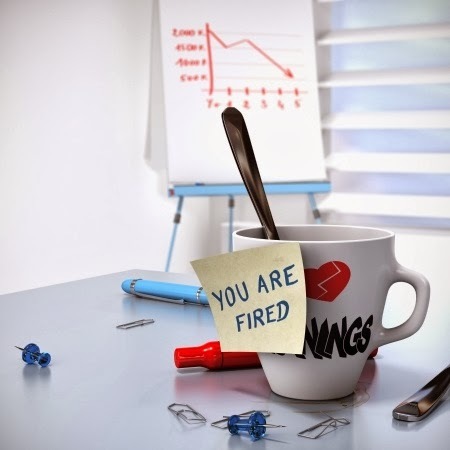 In the same way that an employee when considering resigning from their employment and claiming constructive dismissal in response to a fundamental breach of contract must act quickly to avoid being seen to have affirmed the contract so an employer must likewise act quickly. So, to amend the narrative somewhat, suppose Mr Williams still sent the emails but the following day reflected this was a big mistake and confessed the act to the LUFC Chief Executive. The Chief Executive is not happy and admonishes Mr Williams but decides to take no further action. In such a situation it would seem even if a new CEO is appointed LUFC is aware of the misconduct and, therefore, could not go on to pursue his dismissal on gross misconduct grounds as the breach of contract has been affirmed by the employer. In my experience, this is not in fact an uncommon state of affairs. For example, it has not been an uncommon situation for an employee to do something wrong and then promptly tell their manager of this and for the manager to take no further action. For employees and trade union reps this is a reminder of the basic principle that an employer as well as an employee may affirm conduct that is capable of repudiating the contract between them and it is one that it would pay to be alert do. In cases where an employee subject to disciplinary investigation readily admits to me (as their rep) that they did the misconduct they are accused of I often ask if they have ever told the employer this; it is surprising how many have. In practice (and especially where documentary evidence is available) the very fact of prior notification is sufficient to see of the allegation, meaning there is no need to revert to more legal affirmation of contract arguments. Strangely, and in my view wrongly, the Court of Appeal have in a case arising from the tragic Baby P case (Christou & Anor v London Borough of Haringey  EWCA Civ 178) suggested the opposite and that where an employee has been investigated for an offense and been given a warning the employer can go back and ‘have a second bite’ and dismiss the employee for the same offense (and here, even if there was a difference of emphasis, it is clear the employer knew of all the relevant facts later relied upon). Clearly, in that case the fact that the employer did not dismiss in the first instance can be questioned but having made that decision seems to fly in the face of any concept of fair process. Thankfully, this type of situation will be exceptional but I certainly hope, in time, this case will be overturned.